For this month’s toddler craft project I had to do something for Valentine’s Day. 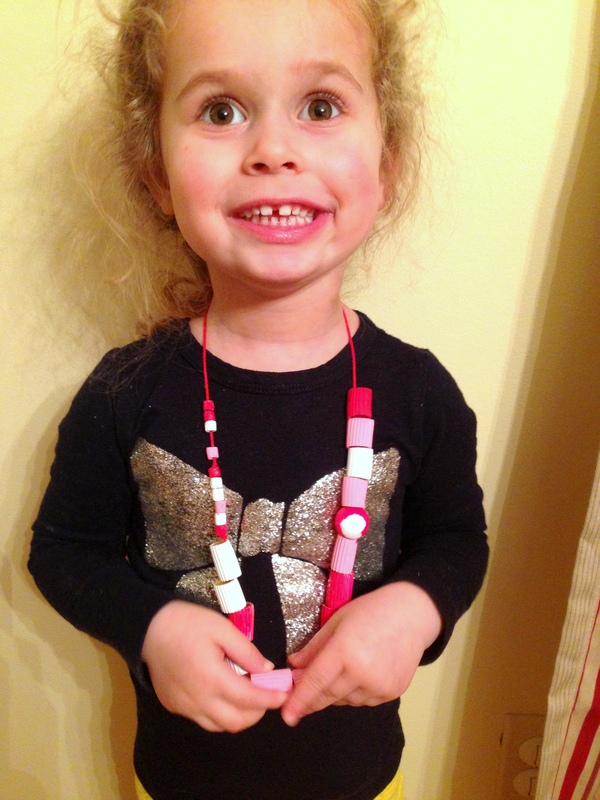 I thought it would be cute to put together pasta necklaces that the kids can either wear themselves or give to someone they love like, I don’t know – their moms! And to add an extra level of craftiness to this craft I thought it would be cute to paint the pasta in red, pink, and white to make them even more appropriate for Valentine’s Day. 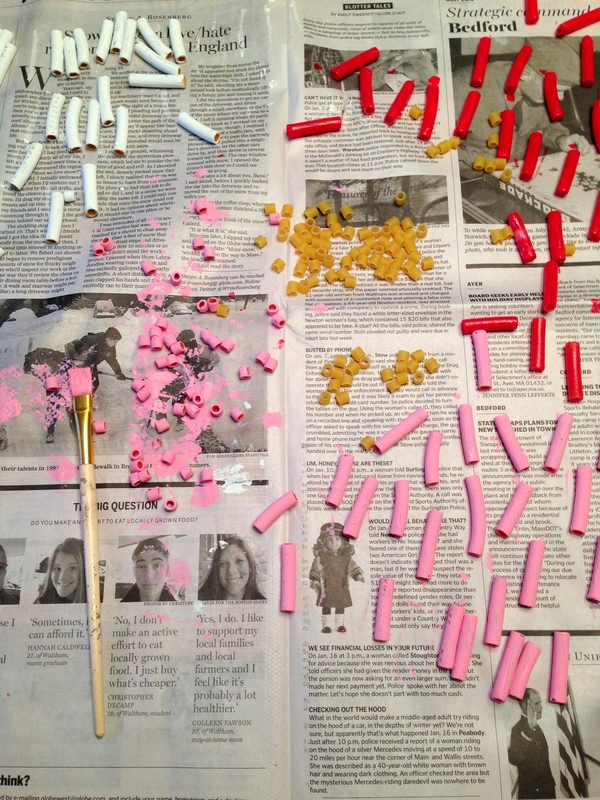 Now, we have about a dozen kids at 1 kitchen table doing these craft projects every month so having them paint the beads was not going to happen so I painted them ahead of time. But, if your toddler/child is old enough the first step in this project can be for them to paint the pasta. For pasta I used ziti, ditalini (the tiny ones), and rigatoni (not pictured). 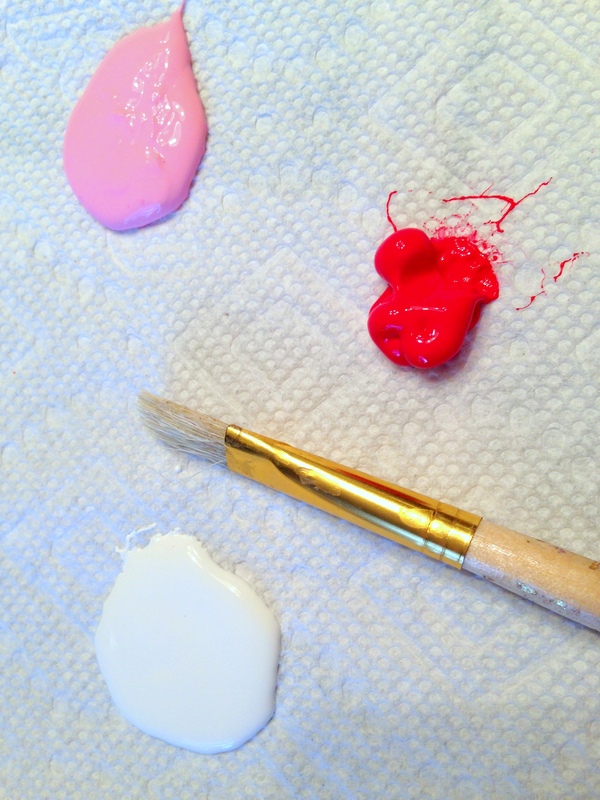 I used regular craft paint in red, pink, and white. 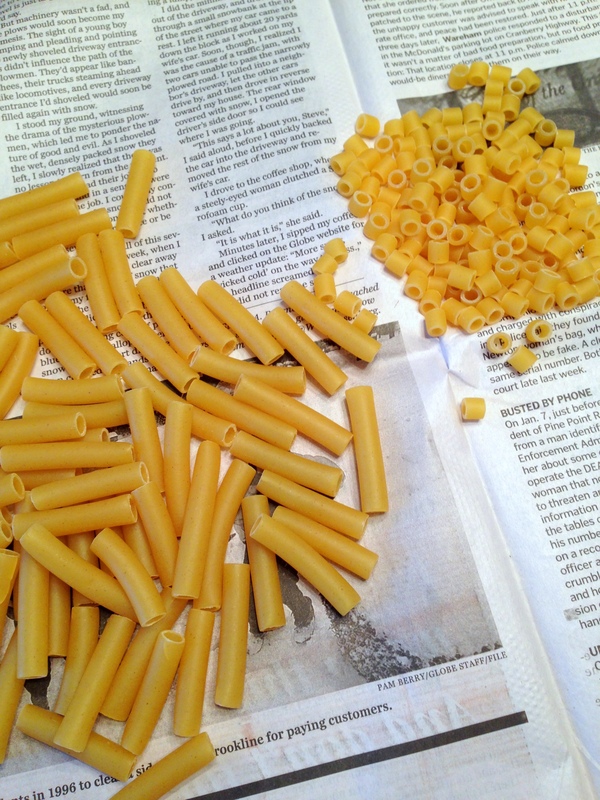 And painted each bead – you can roll the smooth pasta shapes in the paint but for a noodle like rigatoni you’ll have to paint each one to get in the grooves. Once dry, string on yarn with a store-bought heart beads and voila – an adorable Valentine’s Day Pasta Necklace for your loved one!